Joulazadeh, M. (2008). Using Scrap Tires in EAFs as a Substitute for Carbon. International Journal of Iron & Steel Society of Iran, 5(1), 36-40. M. H. Joulazadeh. "Using Scrap Tires in EAFs as a Substitute for Carbon". 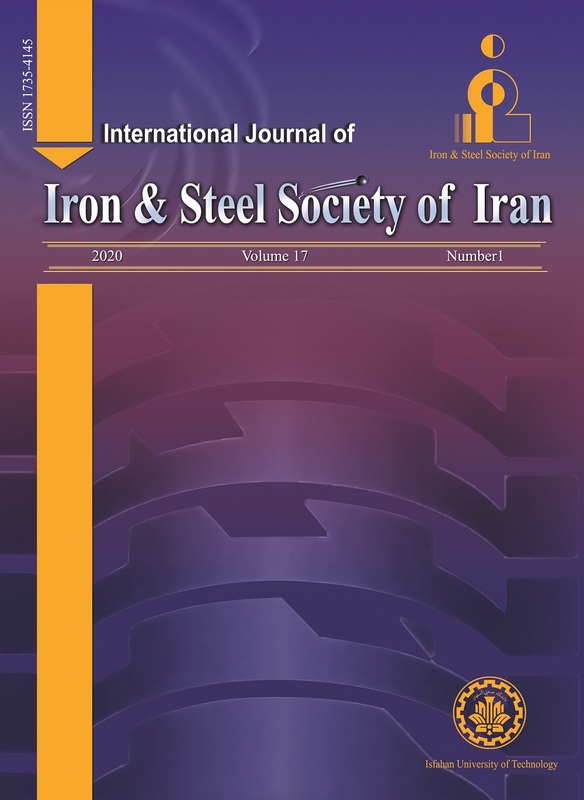 International Journal of Iron & Steel Society of Iran, 5, 1, 2008, 36-40. Joulazadeh, M. (2008). 'Using Scrap Tires in EAFs as a Substitute for Carbon', International Journal of Iron & Steel Society of Iran, 5(1), pp. 36-40. Joulazadeh, M. Using Scrap Tires in EAFs as a Substitute for Carbon. International Journal of Iron & Steel Society of Iran, 2008; 5(1): 36-40. EAF plants normally consume coal and coke as reactants, alloying elements, or fuel. The price of these materials varies from € 0.20-0.35/kg. This is while nearly 10 million pieces of tires are annually discarded in Iran. The present study shows that scrap tires can be used as a substitute for coal and coke in EAF plants. Thirteen grades of steel including low, medium, and high carbon steels as well as low and high alloys were produced during 73 heats in a 6t EAF. Coke consumption reduced from 18.00 to 0.00 kg/ton of steel produced and power consumption decreased from 448 to 388 kWh/t. Stack gas analysis and measurements were performed to find that the gaseous pollutants released such as CO, NOx, and SO2 were far less than the permitted standard limits. More than 200 heats have so far been carried out using waste tires in Esfahan Steel Co. (ESCo) where experiments were conducted in this study. Industrial tests were replicated in Iran Alloy Steel Company (IASCo) where 20 heats were made in a 40t EAF, which resulted in coke consumption to reduced from 15 to 0 kg/ts and power consumption to reduce by 10%. Similar results were obtained in the EAF Unit of Malayer Alloy Steel Company operating a 25-ton heat capacity EAF. The results of this study show that the process is reliable, economical, and eco-friendly leading to a production cost reduction of 5 €/t. J. A. T. Jones, "Carbon Utilization In the EAF", 1998 Electric Furnace Conference proceeding", P. 599. Rubber Manufacturing Association, "Scrap tire markets in theU.S.2005 Edition",1400 K Street, NW WashingtonDC,20005, November 2006. EPA. Management of Scrap Tires- Tire Derived Fuel, 2005, Code "EPA 530-F-05-006". EPA. Management of Scrap tires- Tire fires, 2006, Code "EPA- 905-B-06-001". Leroy Stebbing, P. E., "Using scrap tires as a Chemical fuel source in the EAF", http://www.acceleratedtech.com/tire-info. html. EPA-454/R-97-003" Locating and Estimating Air Emissions from Sources of Dioxins and Furans" U. S.Environment Protection Agency. Research Triangle Park, North Carolina27711(1997), 172. H. Yamakawa, K. Isakari, H. Sasamoto, T. Okazaki, S. Matsuoka, "Study on dioxin reduction & behavior of it in EAF", La Revue de Metallurgie, (2002), 23. C. Clauzade Aliapur, "End of life tyres in electric arc furnaces: An industrial success story", http://www.aliapur.fr/media/files/recherche/Acierie-GB.pdf.